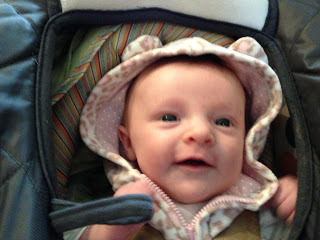 My Hannah is 2 months old! I can’t believe it. Exercise is in full swing and I’m giving it all I have now with no restrictions on intensity and how heavy of weights I’m using…tough but a nice feeling. I’m doing weights 3 days a week and cardio 2-3 days a week. Sweets have been going well and they aren’t too much of an issue (Praise the Lord). 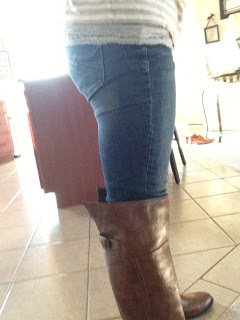 I’m so excited about little changes my body is making because of the use of heavy weights! Muscle burns fat! 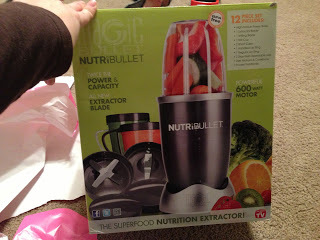 Here’s my awesome birthday gift from my in-laws….even more healthy eating happening over here! 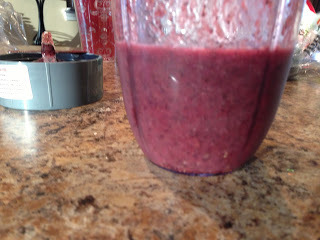 This one was broccoli, carrot, blueberry, and strawberry smoothie. Today I had an apple, carrot, and strawberry smoothie. 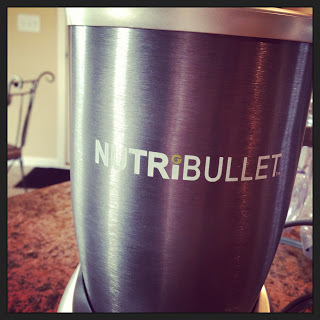 The Nutribullet makes it very fast and I stick almost everything in it whole. It doesn’t extract nutrients from it (like a juicer) so it’s filled with every good part of the fruit and vegetables! Plus you can add seeds and nuts. 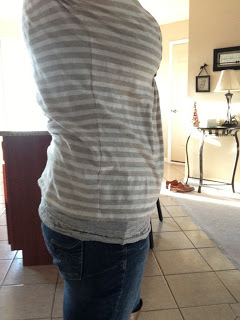 If you are trying to lose weight and are discouraged….don’t be! Remember to be lifting weights, getting your cardio in and watching what you eat!!! You CANNOT FAIL if you are doing those 3 things. One more thing about watching your nutrition. If you are counting calories then remember that calories are good for you. Also, don’t get too wrapped up in being completely exact and perfect with it. 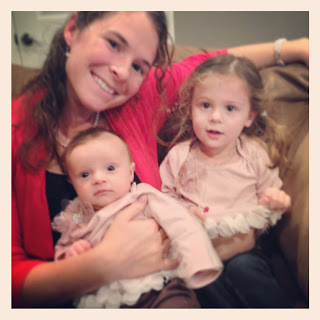 God wants us to live a healthy lifestyle and still have discipline but not be obsessed. There’s such a fine line sometimes with eating. I’ve been on both spectrums of being too crazy about what I eat and then not caring at all with what I’m doing…either aren’t really good for me. Just remember that if you’re keeping out processed food (something I am a stickler on) and eating a diet high in fruits and vegetables (God foods) then you can’t go too wrong if you’re watching portions and not stuffing yourself. Coupled with your exercise routine, it should all fit into place.